More than one million Californians lack access to safe drinking water, a startling statistic in a state with the fifth largest economy in the world. For these Californians—of which one in three is Hispanic and nearly half are adults diagnosed as pre-diabetic—the only alternatives to unsafe water are expensive bottled water or sugary drinks. Research has shown that some low-income families spend more than 10 percent of their earnings on such beverages. This is a serious public health concern, particularly in California’s rural communities where infrastructure, technical expertise and financial resources are limited. Moreover, contaminants such as arsenic can cause cancer, thyroid disorders and other serious health problems. Children are at particular risk for health problems that stem from not drinking enough water. According to Dr. Anisha Patel, at the University of California at San Francisco’s Department of Pediatrics, because children spend much of their day at school or in child care, clean drinking water is essential to keep them hydrated. RCAC launched Agua4All, a pilot project in partnership with The California Endowment in 2014. The idea was simple: install water bottle filling stations where they are most needed, such as in schools and community centers, and include water treatment where necessary. Public outreach and education were important elements to the program’s success, encouraging children and families to drink more water and dispelling myths about tap water. A crucial aspect to the program, too, was building public-private partnerships to expand access and encourage water consumption. Public/Private partnerships are collaborations between public entities and private companies to provide additional services. 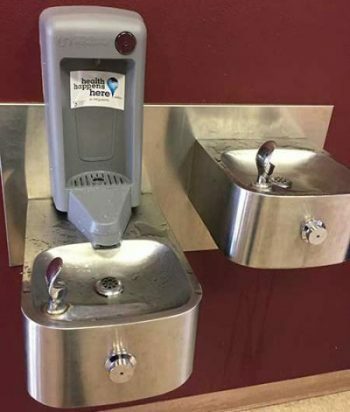 In this case, RCAC is partnering with foundations, public utilities, public schools, and private partners including fountain manufacturers Acorn and Elkay, bottle companies like Nalgene, and filter manufacturers to provide the products to the school locations at a steep discount. 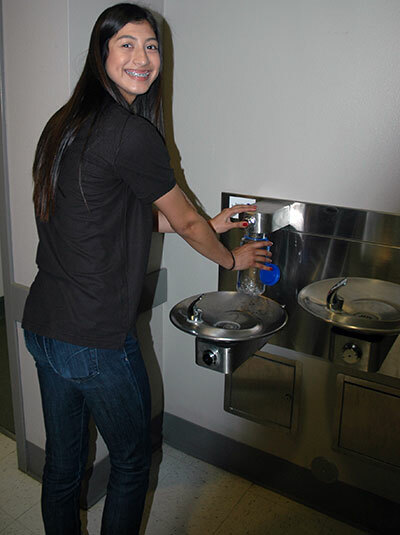 The pilot program included the installation of 200 water bottle filling stations across rural California, and 94 point-of-use arsenic filters in four schools and various community buildings and parks in Arvin, California. Today, there are 362 units throughout rural California. Since the program’s pilot, success has been noticeable and measureable. In 2016, two years after the pilot program was initiated in the Eastern Coachella Valley and Kern County, data illustrated that more and more children were drinking water. 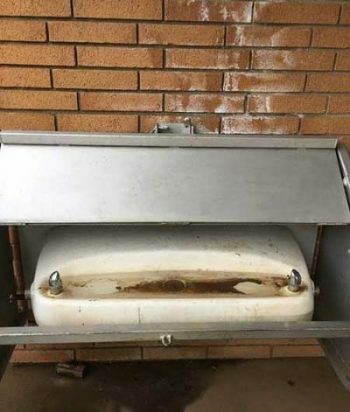 At Saul Martinez Elementary school in Mecca, “the number of ounces of water consumed per student per day more than doubled and, in some cases, more than tripled once the filling stations were installed,” according to RCAC and University of California, San Francisco. At both Saul Martinez and Toro Canyon Middle School in Thermal, the number of students per hour using the water sources increased and, at the latter, doubled. RCAC continues to monitor and measure consumption in Arvin, and as of May 2018 students and community members have accessed nearly 365,000 gallons of safe water. This year, the program has expanded to other rural California counties and, importantly, to Tribal lands around the state. Much of this is due to the work RCAC did with other drinking water advocates to secure state budget funds dedicated to improving access to clean drinking water in California schools via the Drinking Water for Schools Program. 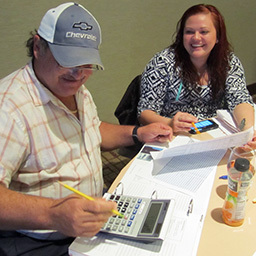 RCAC is the technical assistance provider for the grant program, which includes identifying solutions to improve access to clean drinking water; assessing water contamination levels; preparing funding applications; evaluating access at schools; coordinating communication between school and water boards; and organizing school outreach programs. As of May, RCAC staff were working at 74 schools in 32 school districts in 17 counties. Their focus is increasing access to clean drinking water and, in some cases, treating water contaminated with arsenic, uranium and nitrate. The schools are in Tulare, Kings, Fresno, Madera, Riverside, Siskiyou, Imperial, Tuolumne, Sonoma, Mariposa, Monterey, Mendocino, Sacramento, Stanislaus, San Diego and Sutter counties and four more schools are pending, according to Stephanie Villegas, RCAC community and environmental services program manager. Water fountain with a retro fit bottle filler installed at the Le Grand High School gym. A.M. Winn Elementary School drinking fountain in the Kindergarten play area will be replaced with a fountain and bottle filler. 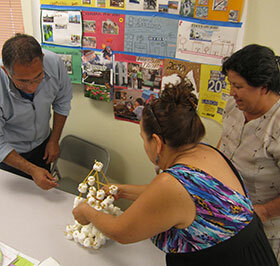 In the Central Valley, the work is being completed through a subcontract with Self-Help Enterprises, which is providing technical assistance to schools there. School officials have also expressed admiration and appreciation for the program. Megan Grant, the vice principal at Lucerne Elementary School in the Lucerne School District, agrees. Recently, the Drinking Water for Schools program received 29 technical assistance requests from California school districts. Most of the requests are for schools with impaired access to drinking water, but some relate to problems with drinking water quality. So far, 90 percent of the requests have been investigated; those schools now move on to the full funding application stage. 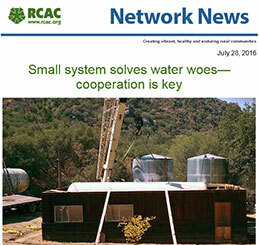 Meanwhile, RCAC staff members are working with more than a dozen Tribes around California to bring clean water to schools and community centers on their Reservations and Rancherias. These include the La Posta Band of Diegueno Mission Indians and the Kashia Band of Pomo Indians who have received funding for bottle-filling stations, and the Habematolel Pomo of Upper Lake and Susanville Indian Rancheria Tribes who receive technical assistance from RCAC staff. 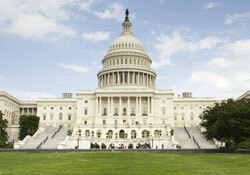 In some cases, Tribal schools are at a particular disadvantage. By summer, water bottle filling stations will be in place at community centers, schools and health clinics on the Big Sandy, Pauma, Pechanga, Cold Spring and Tule River Reservations. 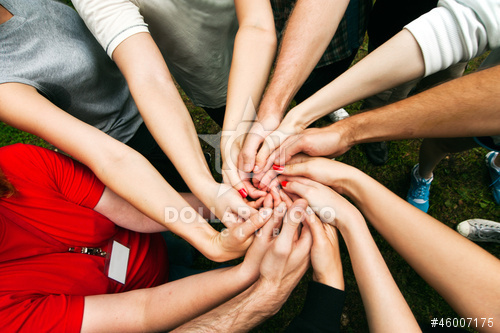 The work entails layers of cooperation among RCAC staff. Outreach and communication to students and communities continues to play a critical role in Agua4All’s success. 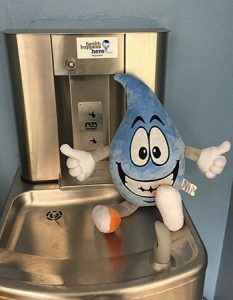 RCAC staff introduced Wally the Water Droplet on outreach and education materials including brochures, safe water station signs, children’s activity books and social media. The mascot is designed to appeal to youth and adults alike. Staff have also attended community events and shared program information on the benefits of drinking safe water. 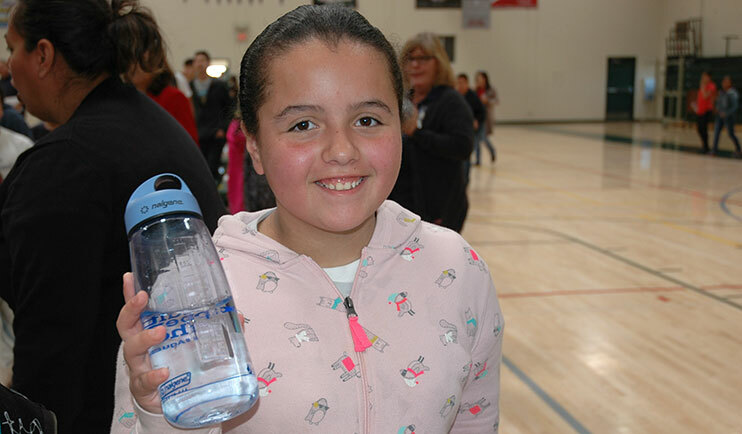 And to promote additional consumption, RCAC early on partnered with Nalgene to distribute more than 17,000 reusable water bottles to students, staff and community members.